Old Court Farm is a gracious detached period residence which occupies a secluded yet central position close to the Church in the heart of the picturesque village of Kingston Seymour. The village, which offers an excellent community spirit, is located within five minutes of Clevedon, with its M5 motorway access and a similar distance to Yatton with its rail link to London. 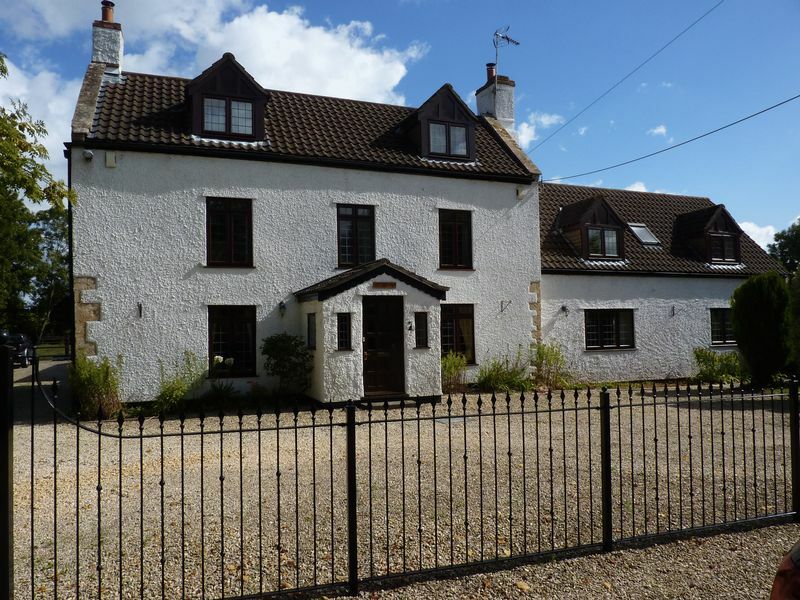 Available on an un-furnished basis with white goods this property is available immediately. 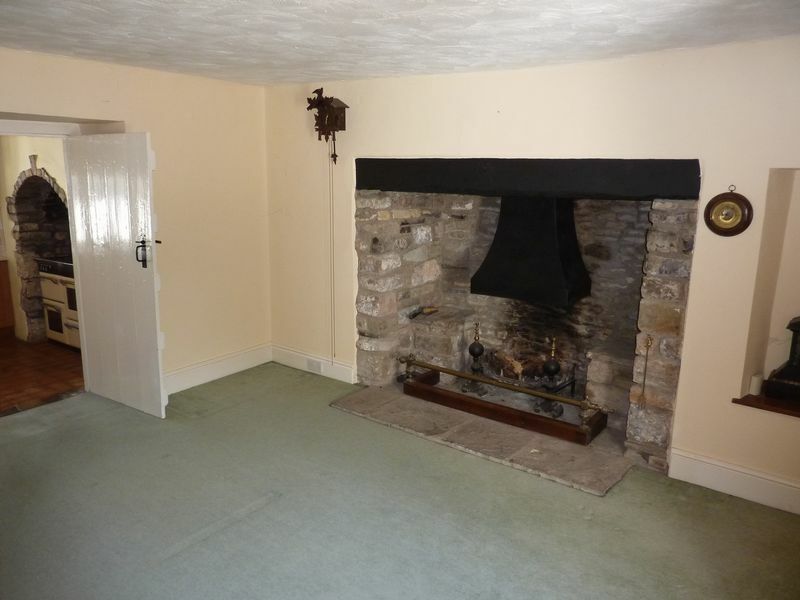 part of the original property dating back to the 1690's with a stone faced fireplace complete with woodburner. Wall light points and a double radiator. with an inglenook fireplace complete with dog grate. Understairs cupboard, beamed ceiling and double radiator. 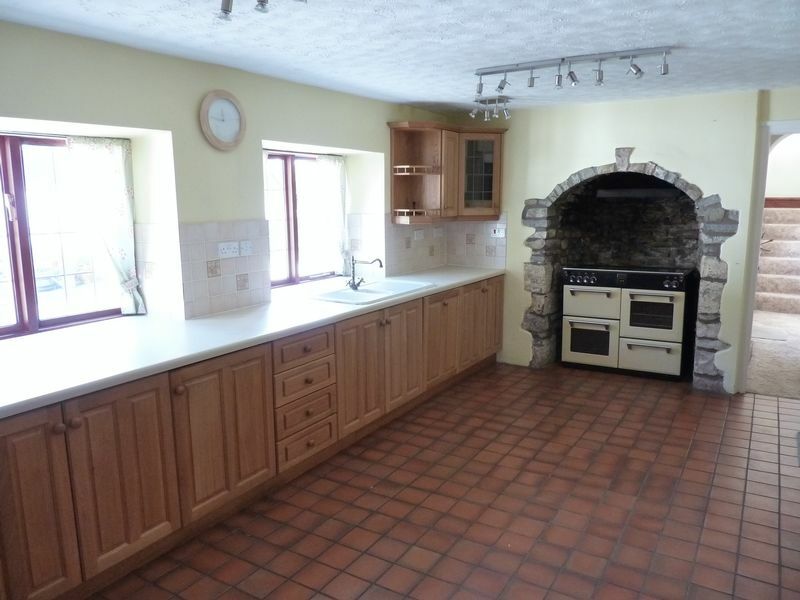 A spacious farmhouse style kitchen which overlooks the rear courtyard. An extensive range of light oak units incorporating an integrated fridge and dishwasher. Ample work surfaces with an inset 1 1/2 bowl sink unit. Double radiator and quarry tiled floor. with built-in base units with work surfaces incorporating an inset 1 1/2 bowl sink unit. Double radiator, quarry tiled floor and rear access. Built-in LARDER/FREEZER ROOM and a separate BOILER ROOM housing the Trianco oil fired boiler. 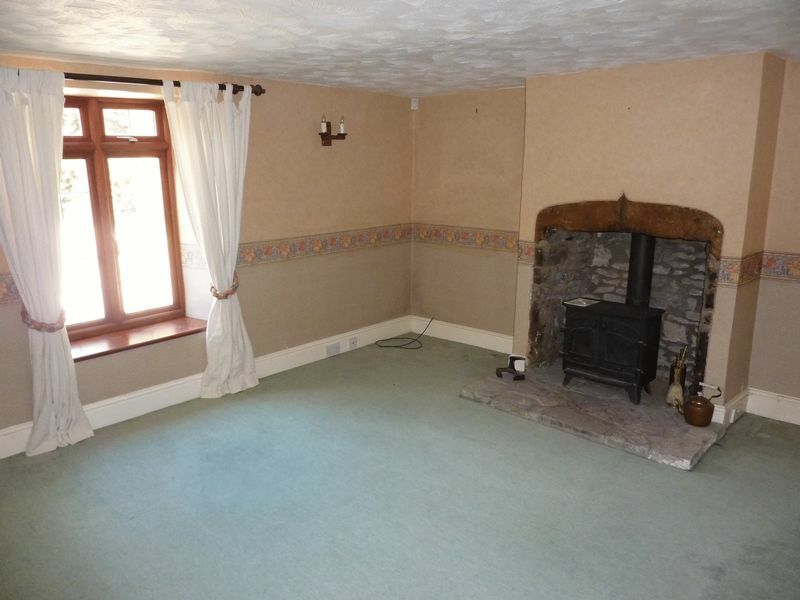 with a period fireplace, double radiator and a built-in wardrobe. comprising panelled bath, pedestal wash basin and low flush WC. Radiator and built-in shelved cupboard. with double radiator, built-in airing cupboard and a view of the Church. with a period fireplace and twin built-in wardrobes/cupboards. 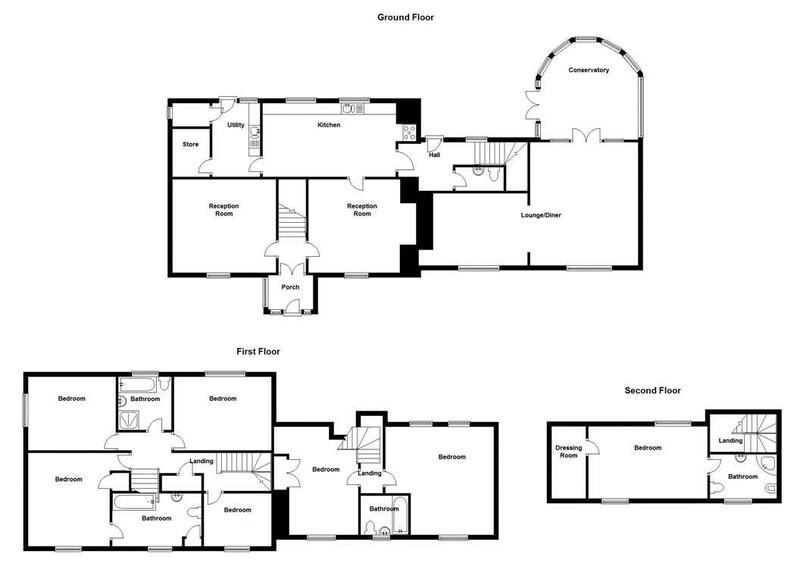 with a white suite comprising panelled bath, separate shower cubicle, low flush WC and pedestal wash basin. Double radiator. 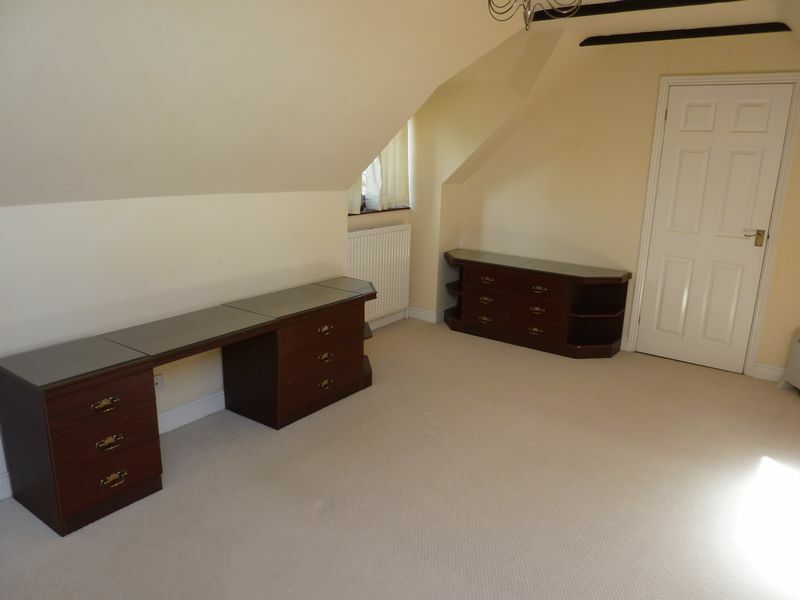 A skilfull conversion of the attic provides an excellent master/guest bedroom with double radiator and loft void storage. Walk-in DRESSING ROOM. with corner bath complete with shower, pedestal wash basin, low flush WC and bidet. Double radiator. with rear garden access and double radiator. with white low flush WC, wash basin and radiator. 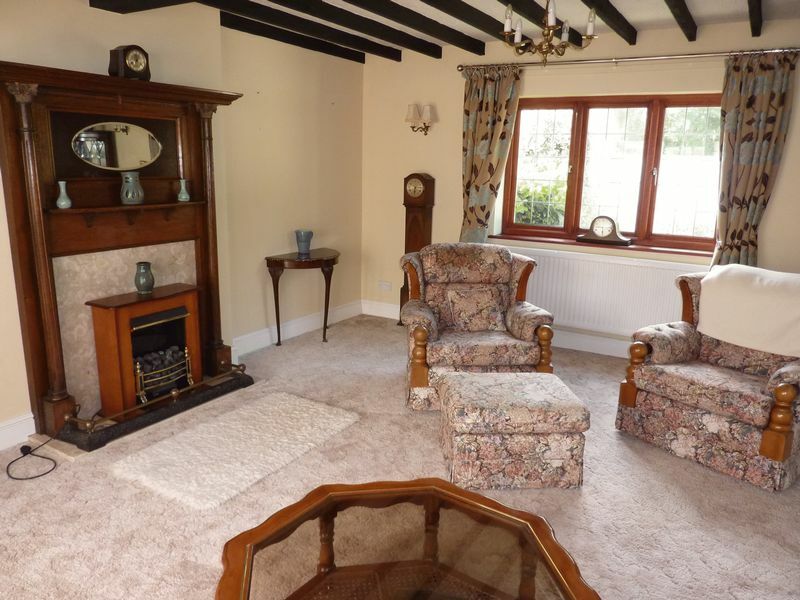 with beamed ceiling, double radiator, period style fireplace and store cupboard. with fireplace surround complete with overmantle. 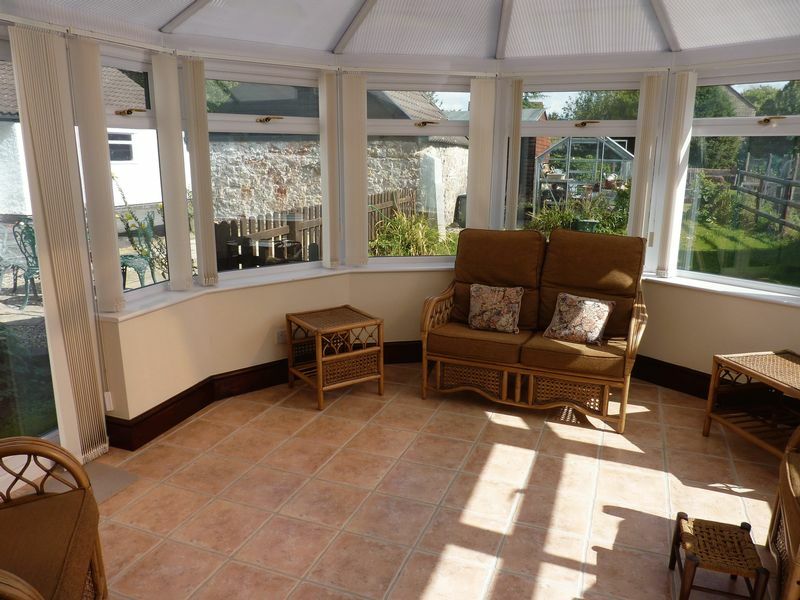 Beamed ceiling, wall light points, double radiator and French doors to Conservatory. A uPVC double glazed addition with tiled flooring and French doors to the garden. with double radiator, built-in wardrobe and loft void access. with panelled bath, pedestal wash basin and low flush WC. Radiator. A sweeping driveway with access through wrought iron gates provides access to the house. 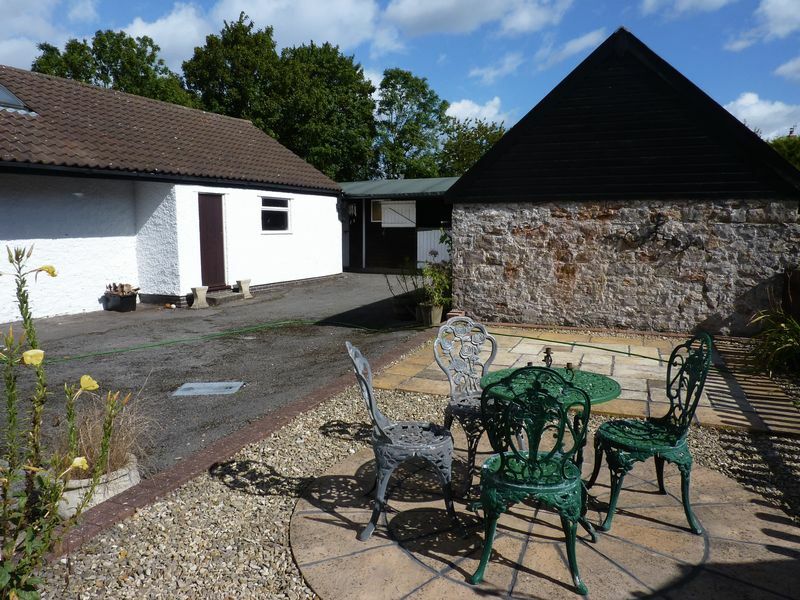 Ample parking which extends to the side of the house and leads to a DOUBLE GARAGE with electrically operated roller door, power, light, overhead storage and a rear door. Extensive courtyard with a sun trap patio area.